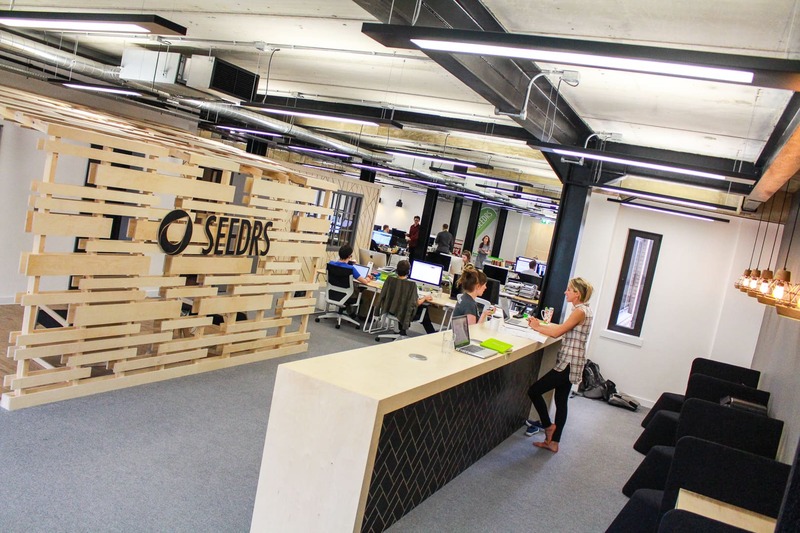 This office design project is the new headquarters for Seedrs, a London based equity crowd-funding firm. All the design, drafting and project management processes were carried out by Liqui. The Scandinavian inspired office design situated on Old Street reflects the client’s collaborative nature. 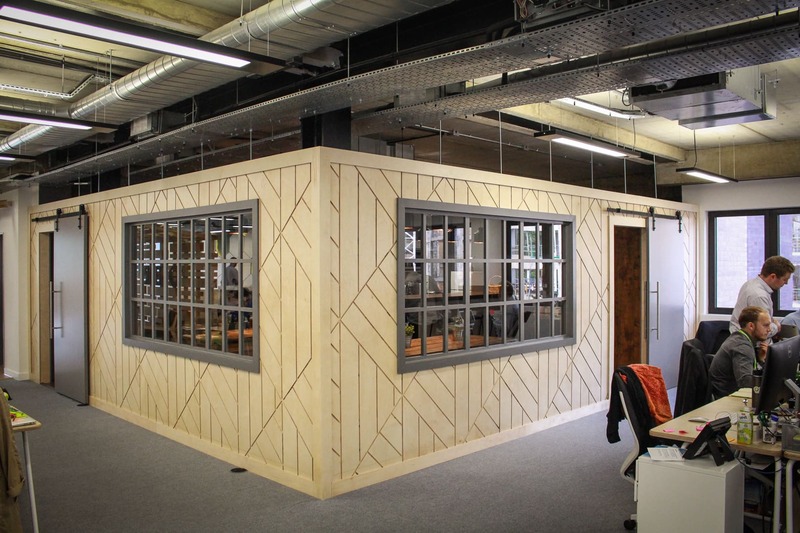 Upon entering the office you are met by a Birch Ply canopy that encompasses the reception area. 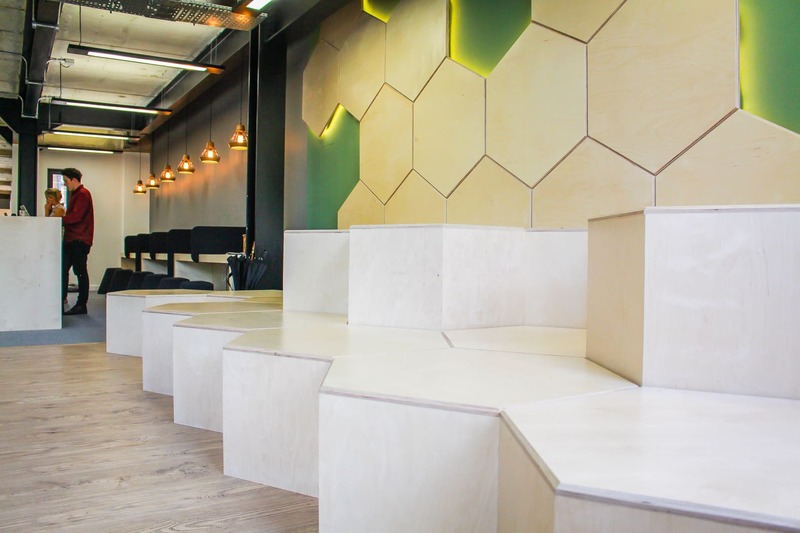 Also visible is the stunning events space with hexagonal tiered seating. 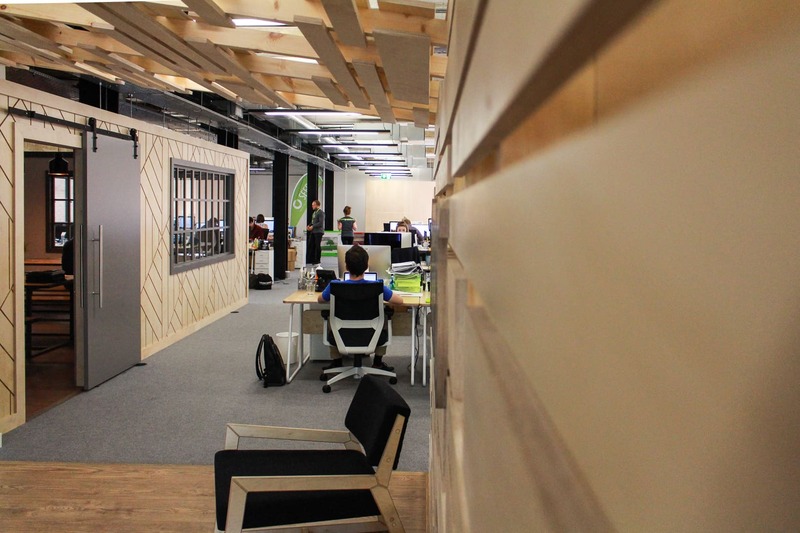 The new Seeders headquarters also includes informal sit/stand work spaces, a suite of meeting rooms and a coffee shop inspired kitchen/cafe area. 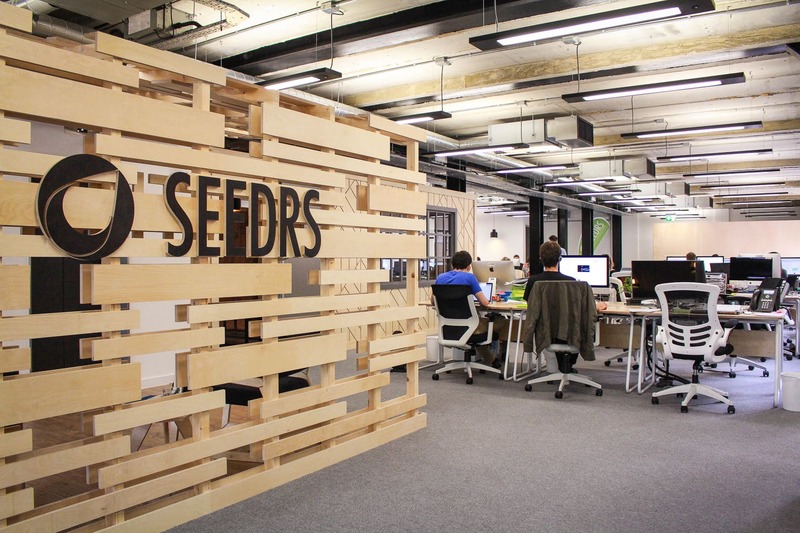 The approach to the design of these distinct spaces feeds into the relaxed and collaborative nature of Seedrs. 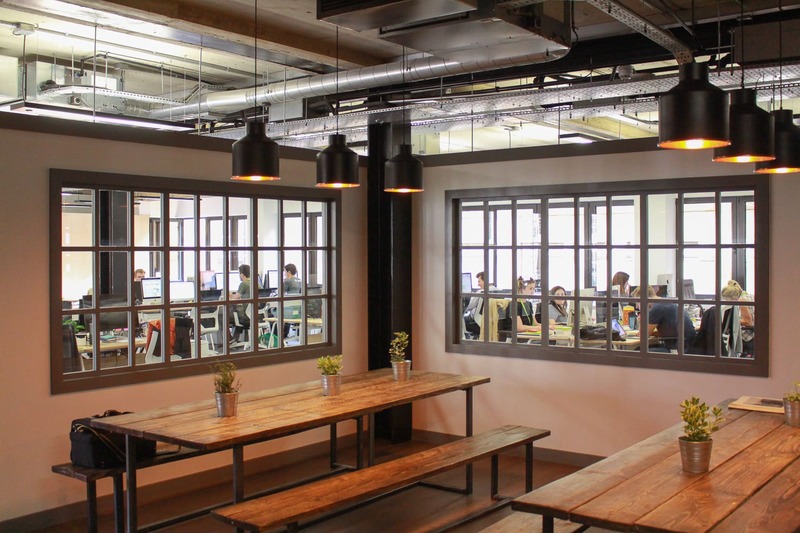 The tiered seating and cafe allow people to find a place to sit away from their desks to work alone or with others, whilst the meeting rooms provide environments for those meetings that require a more secluded setting. Liqui have created an office space that has a relaxed and enjoyable atmosphere. Its design led detailing, pendent lighting and soft seating have been designed and manufactured by Liqui to produced an interior that is high-end, out of the ordinary and fulfills the practical considerations for an effective and productive working environment. Check out Liqui’s website here.